These days whenever I see any woman looking at me or approaching to make contact, I automatically think of Libby Lydecker posing at the piano in a hotel lobby. Libby is just waiting for a man to come along and say something, anything, so she can complain of sexual harassment and be part of #MeToo. Libby Lydecker is one reason I don’t even look at women anymore. I feel like I am the one being harassed and violated by lack of due process at Yoga West. 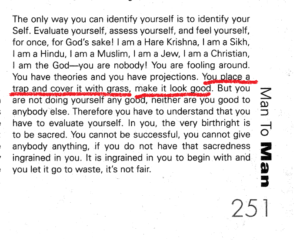 Another reason I am very careful about giving away my power to women by looking at them or talking to them is that I learned it from Yogi Bhajan. 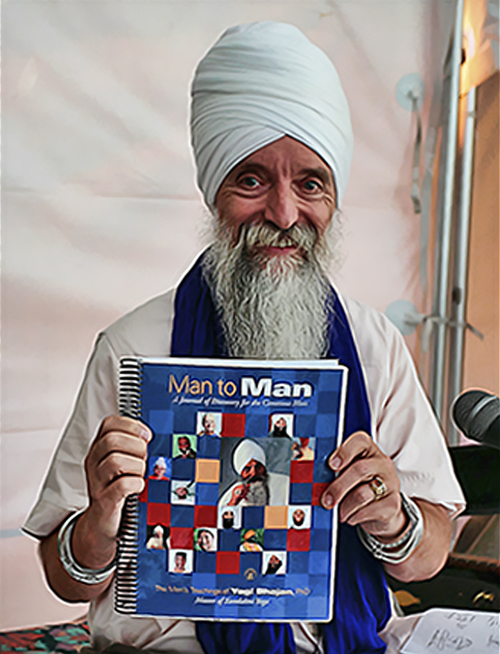 In Man to Man, Yogi B explains that men give away large amounts of their power to women. The answer is awareness. I wrote a blog about this in November after Libby got me kicked out of teacher training at Yoga West. I’ve been reading and blogging on my iPad and so I got on my laptop so I could break Man to Man into small enough chunks to post the introduction, table of contents and first chapter right here in this post. APRIL 4, 2018 UPDATE | The complete pdf files of Man to Man are now all located in this April 4, 2018 post. Can you see how utterly false Libby Lydecker is just from her photograph? Look at that false face. Her face is like a mask. Libby helps me to understand the aggressive nature of today’s LA Woman. Never seen a woman so alone. So alone. Why is she posing in a hotel lobby, doesn’t she have anything real going on in her life? Why wasn’t she at her Friday class at Yoga West yesterday? Libby has spent the last five months inserting herself into my life and I had to cancel my monthly membership at Yoga West to get away from the fake kundalini yoga teacher known as Dya Kaur Libby Lydecker. I’m the one who has been harassed by Dya Kaur Libby Lydecker.